MIGS will be an official partner of the 2019 Paris Talks. This year’s theme is “The Future of Conflict” and the event will take place on March 15, 2019 at UNESCO’s headquarters. MIGS’ Executive Director Kyle Matthews will be a featured speaker on the topic of preventing terrorism. MIGS Distinguished Fellow, Roméo Dallaire will receive the first-ever Humanitas Award by the University of Victoria on March 15th. MIGS is happy to welcome new Student Fellows for the Winter 2019: Breanna Cera-Emard, Zoë Wilkins, Alexandrine Royer, Duncan Cooper, and Sophie Lamotte. ● MIGS will host the CIC event “Canada: alone in the world?” Robert Greenhill, Executive Chairman of the Global Canada Initiative, and Ben Rowswell, president of the CIC and former Canadian Ambassador to Venezuela, will discuss Canada’s position in the power struggle between the US and China. Registration is mandatory. ● MIGS will be an official partner of the Dutch foreign ministry’s annual “Hague Digital Diplomacy Camp” which will be held in Brussels on February 7. 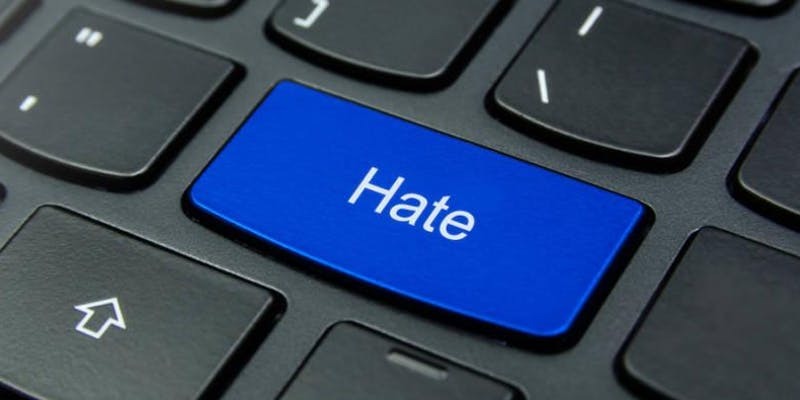 ● MIGS will be hosting “Old Hatreds in a New World: A Panel Discussion on Online Antisemitism”, with panelists Steve MacDonald, Director of Policy and Strategic Communications at CIJA, and James Rubec, a data-journalist and PR professional who is currently the Product Manager at Cision Canada, discussing how to combat online anti-Semitism in an ever polarizing world. Registration in mandatory. ● MIGS will host Michael Petrou, MIGS journalist fellow, for the event “Losing the media war to autocrats and terrorists: why liberal media fails where it’s needed most.” Registration is mandatory. ● Marie Lamensch moderated a panel at the event “Cyber security across borders” organized by UQAM’s Institut d'Études Internationales de Montréal. Pictures are available on IEIM’s event page. ● MIGS was invited by the mayor of Montreal, Valérie Plante, to attend event at City Hall in support of the International Holocaust Remembrance Day. MIGS and the Montreal Holocaust Museum were congratulated for their work by the City councilors at Monday’s council meeting. ● MIGS hosted Kareem Shaheen, the former Middle East and Turkey correspondent for The Guardian newspaper. He discussed his work in covering the Syrian civil war and the failed coup attempt in Turkey. ● Kyle Matthews spoke on Global News Radio about the implications of President Trump’s decision to pull American troops out of Syria. ● MIGS' Digital Fellow Nicholas Glavin was quote in a Voice of America piece on the American soldiers killed in Manbij, Syria as well as in the New Delhi Times. ● MIGS Fellow Fannie Lafontaine spoke to Radio Canada about Yemen’s recent election as Vice President of UN women. ● Andrei Serbin Pont published an article for the Valdai Discussion Club on the current crisis in Venezuela and its global impact.